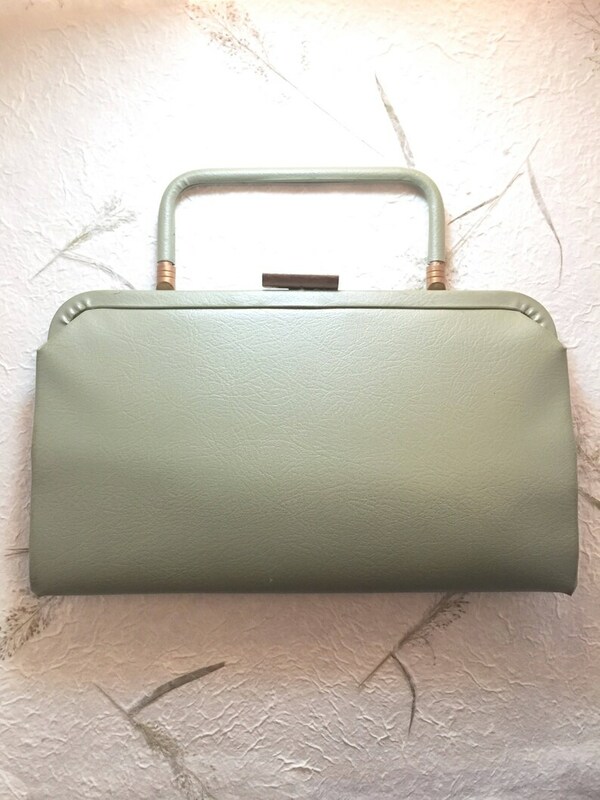 This soft green vintage clutch is just the ticket for an evening out on the town. The exterior is in fantastic condition with minor wear from use. The interior lining has some slight staining, which looks to be gold paint of some kind. Think of it as the bag's gloried history. Made in USA label printed on the interior. I believe this item is genuine leather, although it isn’t marked. If gift wrapping is requested, the item will be neatly wrapped with kraft paper, tied with twine, and will include a little gift tag. Gorgeous Cape to go with our Junior Bridesmaid dress for my daughters Spring Wedding. We love this vintage piece. It has been beautifully kept! Thank you so much!!!! This brooch is absolutely adorable!! I love it!! Thank you so much!! Great necklace, just as pictured & fast delivery! If you receive your item and you are not satisfied, please let me know -- I would love nothing more than to turn you into a happy customer! Exchanges may be done within 14 business days after the item's arrival to you, the purchaser. Before exchanging the item, please contact pearlyowl(a)gmail.com to let me know. We use recycled materials for all of our packing and shipping. We try our hardest to not be wasteful! Gift wrapping available if requested.